Rick is the Administrative Partner for the firm's Nevada office, practicing civil and criminal litigation. 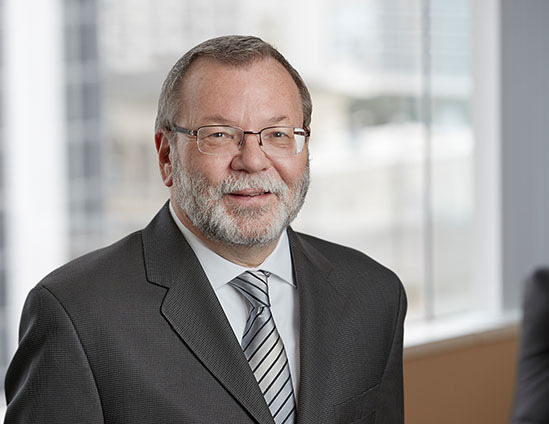 One of the firm’s most experienced and successful trial lawyers, he is a first chair veteran of scores of federal and state jury trials in his years of government service and private practice. He has been rated “AV” by Martindale Hubbell for 22 years. Following service in the U.S. Army JAG Corps with the Seventh Infantry Division, Rick joined the U.S. Attorney's Office for the District of Nevada. Beginning as an Assistant U.S. Attorney, he later became the Chief Assistant U.S. Attorney, and ultimately the United States Attorney. Rick received the Chief Postal Inspector's Special Award for Excellence of Performance in the Administration of Justice, and the Director's Special Commendation Award from the U.S. Department of Justice. Rick entered private practice in 1991, and joined Boies Schiller Flexner in 2005. In 1996, he was appointed Chief Counsel to the Select Subcommittee on the United States Role in the Iranian Arms Transfers to Croatia and Bosnia, chaired by the Honorable Henry Hyde of Illinois, leading a congressional investigation of national security, intelligence and foreign policy issues on behalf of the United States House of Representatives. Rick is President of the Nevada State Bar, and has served on its Board of Governors since 2011. In October 2015, Rick joined other present and former high level law enforcement officials from across the nation as a founding member of the Law Enforcement Leaders to Reduce Crime and Incarceration, a group dedicated to advancing criminal sentencing reform. University of Virginia, B.A. , with highest distinction, Economics; Phi Beta Kappa; Walter L. Smith Citizen Soldier Award; Distinguished Military Graduate; Jefferson Literary and Debating Society; U.S. Army R.O.T.C.